A: Hi! 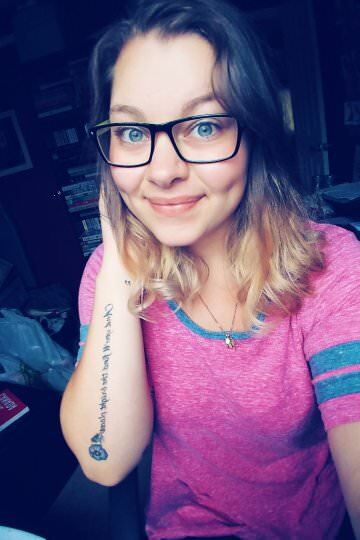 My name is Chele’ (pronounced like Shalay) and I’ve been Bookstagramming since 2015. I’m married to my high school sweetheart and we have 4 kids. My favorite things to do are reading (obvs) listen to music, watch awesome choreography on YouTube and travel. Q: How did you first get into Bookstagram and when did you decide to take the leap and go for it? A: I’ve always loved photography and images and I also had a passion for recommending books so Bookstagramming was a perfect balance. I can promote and discuss books I love while attempting to make beautiful images of them. A: A lot of amazing accounts inspire me. Life inspires me and just my general love for words and wanting to share those words with others. Q: How would you describe your style with Bookstagramming? A: I’m not sure if I have a certain style per-se when it comes to my account. Most (not all) bookstagram accounts usually have a flow and a “theme” I don’t always follow that sometimes I just want to create a flat lay that pops into my head so I would say my style is maybe bright and fun. A: Oh wow, I guess if I could imagine it, I would have a studio with fancy lights and unlimited props and all the paperbacks I could ever want but I make due with the natural light from my living room, my props I buy at the dollar store (mostly) and I use the books I have. Q: What is one thing you wish you knew starting out with bookstagram or something you could have told your past self? A: SO, so many things and to be honest I’m still learning everyday! Natural light is ALWAYS best, always make sure the authors name is prominent in the shot, I like when a description is given of the content if possible. Also, make it fun. It shouldn’t be stressful…..don’t try to keep up with the Jones’ authenticity is so important if you’re not truly excited about it then don’t post about it. I think your followers appreciate your honesty. A: I don’t really have that lol. I have a full time job and 4 children so my hobby is Bookstagramming. Besides that we like to take road trips, do crafts together, take trips to the library….basically family time. 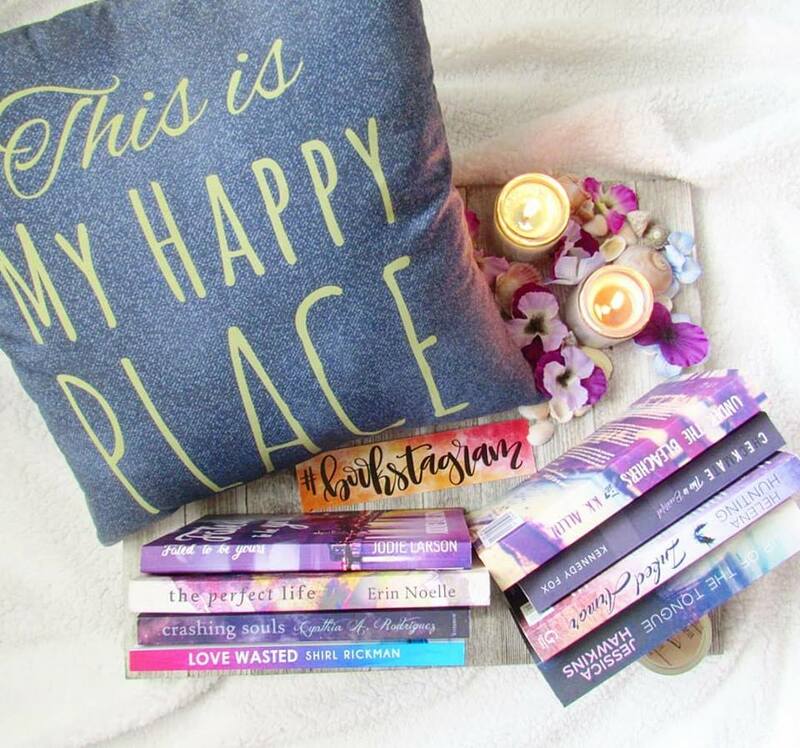 Q: How do you motivate yourself to keep the bookstagram going? 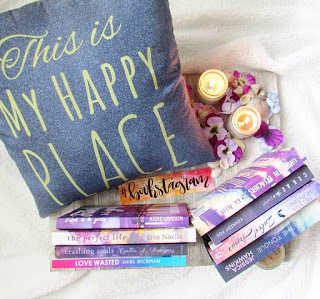 Q: What do you find the most frustrating and/or challenging aspect of bookstagram? A: Oh man, well I will say for the most part I’ve had a very positive experience but I will say there’s time when you feel taken for granted of, and lately I’ve witnessed some very cliqueish activity within the bookstagram community which I want no part of, I think there is room for everyone and I wish everyone could be supportive of others. Q: How much time do you spend bookstagramming and is it a hobby or job? A: It’s a hobby for me but to be honest it can be like a job depending on the day. I can and have spent HOURS doing images, or beta reading or reading ARCs or writing reviews or it could be as simple as searching the Internet to find a specific prop I want because it goes with a certain theme of a book or reminds me of a character. I think the longest I’ve taken setting up scenes, putting them together, choosing which book, thinking up a caption for it and getting the perfect shot…..maybe 4 or 5 hours? That’s for maybe 3 or 4 different set ups. But if I’m doing an outside shoot? That takes time because I need to find a good spot so I drive around for inspiration and hope it’s not a crowded area lol people look at you strangely when you’re just standing there taking pics of books! A: My first thought was my husband but I wouldn’t want him to be stuck too so….my next answer would be a Kindle with unlimited power and books, music and electricity . But I think I’m going with my health, happiness, and food. A: My go to meal is tacos. Always tacos lol. I actually don’t really drink Starbucks and I don’t know what Tim Horton is lol but my favorite fast food is In-N-Out Burger. A: These kinds of questions kind of give me anxiety because of course I’m going to forget people, I always do. So I’ll just name a few and please know this isn’t my FULL list. 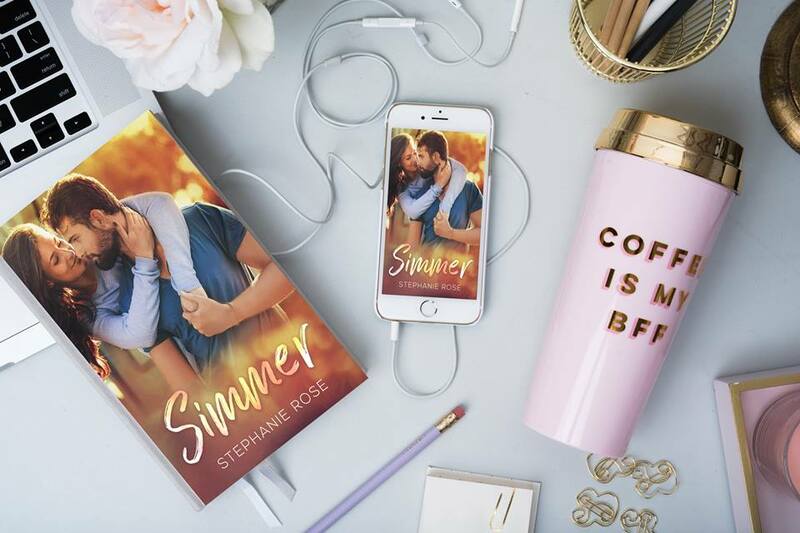 Blogger wise I love Page After Page book blog, Angie’s Dreamy Reads, Book Twins review, Musings of the Modern Belle, Totally Bex, Hook, Line and Sinker and of course The Graduated bookworm! Author wise that’s a little easier for me Dylan Allen, Kennedy Ryan, Colleen Hoover, Stephanie Rose, Kim Holden, Tarryn Fisher, LJ Shen, Sara Ney, Charleigh Rose, Willow Winters, Rainbow Rowell, Penelope Ward, Whitney G, Mia Asher and Renee Carlino. Also, I’m really loving new author Jessica Ruben! I don’t really frequent too many shops, I want to, but often extra money goes towards my kiddos but I do love Bookish Aromas, Book Beau (I was her first customer!) Marked by Mary, and Sweets by Steph. A: Do it because you want to. Do it for you. Do it to the best of your ability. Build a great repoire with others, always do what you say you’re going to do and be kind. Be a boss! Here's Where You Can Find Chelé!